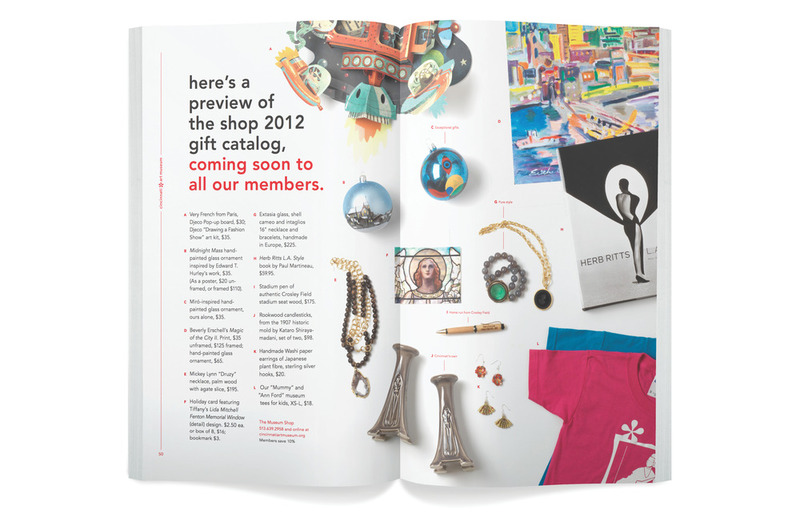 The Cincinnati Art Museum boasts a wonderful gift shop that offers special rewards for Art Museum Members. 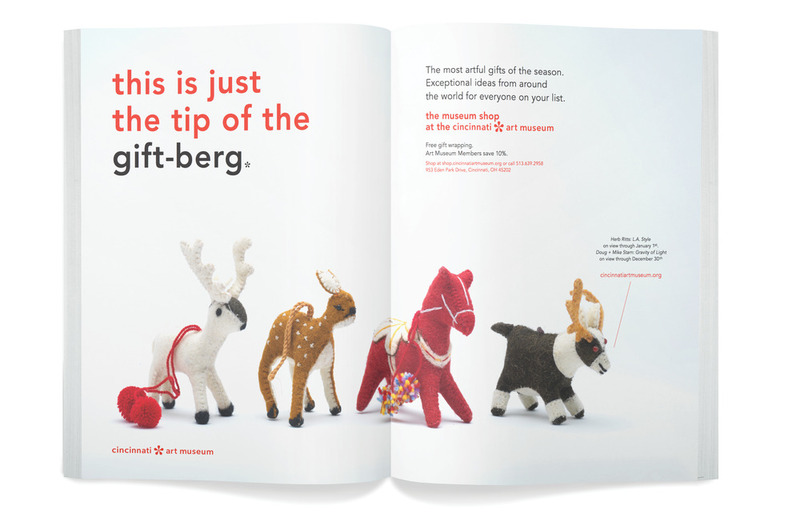 I worked with the shop manager and photographer to consistently style and design catalogs and advertisements for holiday sales and events. 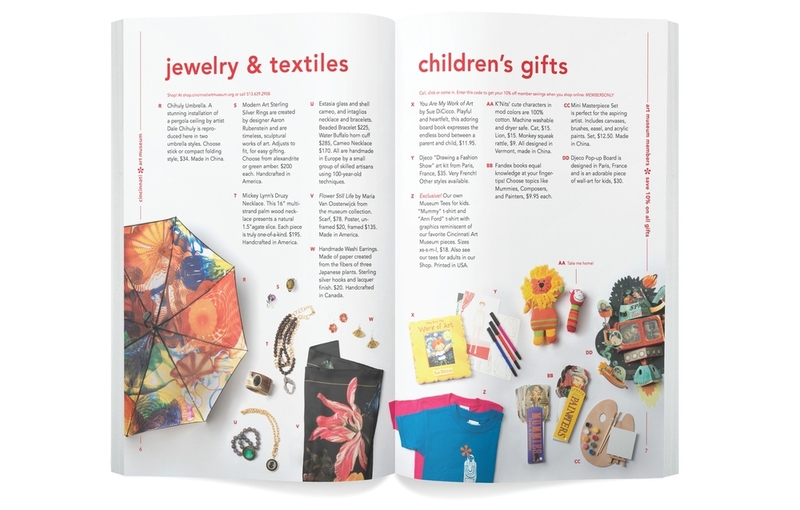 This simple yet beautiful way of displaying merchandise continues to be used for advertisements and catalogs.